Black Ops 4 is almost a month away, but if you just can’t wait that long I have good news: the beta for Blackout, Black Ops 4’s battle royale mode, is launching on September 10. If you want to know how to access the Call of Duty Black Ops 4 beta look no further, because to celebrate it being released we have 50 PS4 European beta keys to give away to all of you whose eyeballs are currently reading these words. All you have to do to claim your beta key is make sure you have a PlayStation 4 (sorry, Xbox and PC owners) and that you live in Europe, fill out the form below, and after you confirm your email address you’ll be sent your very own code that’ll let you dive into Blackout. Need a refresher on why you should be grabbing that code asap? Ok, you asked for it (well, I technically did, but let’s look past that for now). 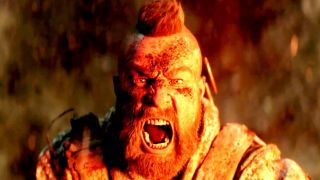 As well as being Black Ops 4’s very own battle royale mode, the map it uses is the biggest one to ever be created in Call of Duty history, with up to 80 people battling it out to be the last one standing. Just like Fortnite you’ve got the choice of wreaking havoc with various weapons, but vehicles are also a big part of the mode. Plus Gamespot reports that you’ll be driving around with friends (or benevolent strangers at least) through a north California map trying your best to shoot, kill, and maim anyone in sight. There’s no need to tackle it all by yourself, though: Treyarch are currently testing split-screen co-op for Blackout mode, although there’s no final word on whether it’ll make it into the final game. Just like Fortnite there will be limited time events which, when completed, give you new characters to play as, with some of them possibly even being cameos from other Treyarch and Activision titles. Seeing Captain Price or Reznov majestically sprinting across the plains would be quite something...I’ve got a tear in my eye just thinking about it. So what are you waiting for? Grab your beta key now!